Q: I haven’t taught pre-schoolers before. 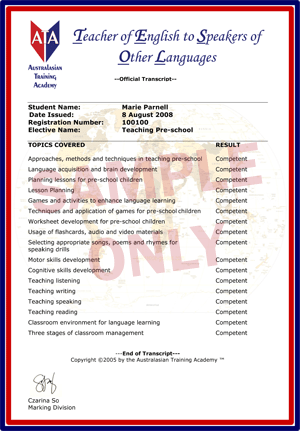 Will I be able to teach pre-school children overseas after completing this course? A: Yes, this course will prepare the TESOL teacher with everything needed to teach English in the pre-school classroom.